In regard to live video broadcasting possibilities such as Periscope, Meerkat, and Facebook, sports brands seem to follow a rather pragmatic approach and broadcast ad-hoc from their facilities without an organized concept or strategy. Last week, the Sport Business Institute Barcelona has periscoped a handful of good ideas on the power of Periscope for football clubs and sponsors and published an indicative case study on their website (read it here). 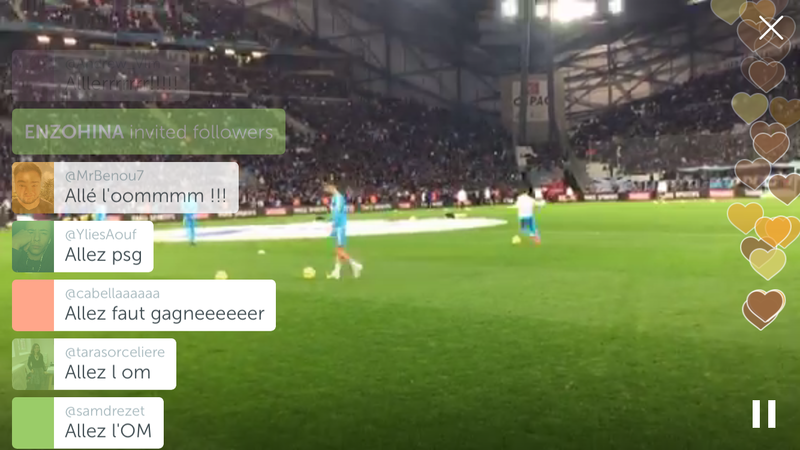 Similarly, I outlined 7 ways to use Periscope as a football club (read it here). However, live video broadcasting is still in its infancy stage and the environment looks like the Wild West. The question now is, how can brands improve the conceptual design and use it to their advantage? The Internet offers sport organizations a plethora of applications to entertain and interact with followers and fans (Conversationprism.com). According to Nicholson (2007, p. 207), ‘The possible sport media future in which sport organizations might control their own commercial destiny through the Internet relies on leagues and clubs developing the capacity and mindset to break away from current sport broadcasting models’. Kaplan and Haenlein (2010, p. 67) underline that statement by stating that ‘Social Media allow firms to engage in timely and direct end-consumer contact at relatively low cost and higher levels of efficiency than can be achieved with more traditional communication tools’. These end-consumers find themselves in a ‘post-broadcasting’ world of the Web 2.0 that has altered the way television is being consumed with the integration of on-demand content, live video streaming, and chat functions (Goggin, Dwyer and Martin, 2014: 45). Sport-oriented businesses have started increasing their attention on managing brand equity in the mid-1990s (Gladden, 2014: 3). At the same time, scholars recognized the importance of strong sport brands and gradually covered the topic (i.e., Gladden, Milne and Sutton, 1998; Rein, Kotler and Shields, 2006; Bridgewater, 2010; Pritchard and Stinson, 2014), often building upon the works of Aaker (1991; 1996), Kapferer (1992), or Keller (1993). According to Bouchet, Hillairet and Bodet (2013, p. 22), ‘The strength of a brand is often related to its capacity to make consumers escape from reality and connect with imaginary and symbolic contents and this is something sport clubs and organizations do very well’. Hence, given current technological advancements, sport organizations can now produce sports media content in-house without having to rely or involve traditional media companies for distribution (Sanderson, 2011: 18). In the age of the social web, social media is omnipresent and online interactions between brands and consumers are expected (Lithium.com). Sutera (2013, p. x) emphasizes that ‘Recognizing the impact of social media on contemporary popular culture, high-profile sports mass media outlets like ESPN are devising programming that incorporates applications like Twitter and Facebook as major features, not only to attract more viewers, but also to encourage sports fans to take a more active role and directly participate in the world of sports media’. Butterworth (2014, p. 36) underlines Sutera’s observation and explains that ‘social media sites encourage unfiltered communication, offering users a chance to interact directly with each other or, as is often the case, with public figures of fame and influence’. Therefore, it can be interpreted that interactive dialogues are a key feature sought after by social media users. Nonetheless, one overarching question arises: What kind of social media content should organizations produce to engage fans and interact with them most effectively? As stated by Goggin (2013, p. 33), ‘Internet and mobile media are increasingly integral to how the game itself transpires and is followed at the venue, and the deeper social underpinnings that such media entail’. Sahami Shiraz et al (2011, p. 4) conclude that ‘TV viewers’ sense of connectedness and enjoyment increases by sharing opinions’ through mobile phones and add that ‘even those users who watch matches in groups still use their mobile devices to virtually connect to non-collocated fans’. Therefore, it is crucial for a sport brand to engage fans through relevant digital content produced and formatted for mobile devices. According to Vaynerchuk (2013, p. 86), ‘Other than the easy mobile experience it offers, Twitter stands in a class apart from other social media because of the open invitation it gives us to talk talk to the world’. In addition, Twitter has been credited to be the largest real-time social platform in the world trumping Facebook that lacks openness and instantaneousness in comparison to Twitter (Newman et al, 2013: 54). In March 2015, Twitter introduced a potential improvement in regard to user-interaction: the Periscope app. ‘Periscope is a live-streaming app that makes it easy to broadcast messages or have video conversations through your iPhone or Android. You can make messages public or private because it is basically your own broadcasting station. Essentially, you can go live “on the go” anytime and anywhere. Anyone who joins your broadcast can see your live video (if you have your station set to public). There is also an interactive component where users can “like” a broadcast by clicking hearts on the screen, get involved in the broadcast by commenting live, and share stations on Twitter. The Sports Business Institute Barcelona notes that ‘if Periscope can continue to attract strong audiences’ – it reached 1 million users within 10 days of its launch – ‘it will become a valuable digital asset for sport brands and properties alike’ (Sbibarcelona.com, 2016). However, a legitimate question remains: What content should sport organizations produce for live video broadcasts in order to strengthen their brand equity? Personally, I do not have an answer yet. There are signs that point towards certain conceptual ideas which I want to scrutinize, but for now, I am just very interested in your opinion. Where do you see this going? 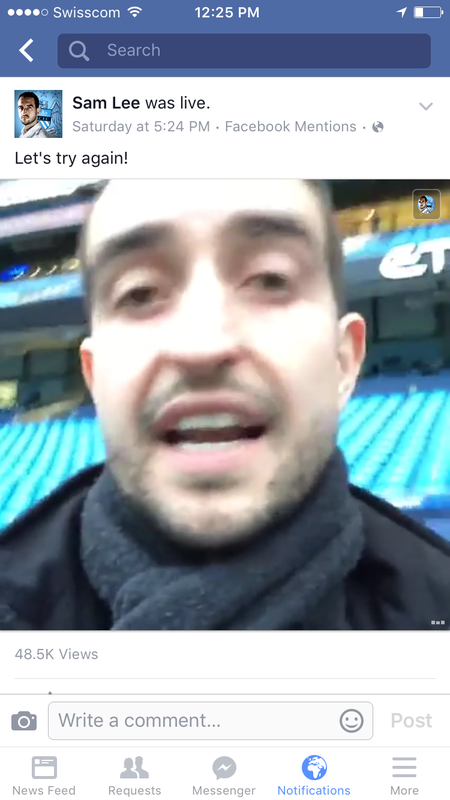 What content from your favorite sport brands would you like to see broadcasted on Periscope? How often, and in what quality? Write in the comment section below or tweet me at @sebinomics. Aaker, D. (1991). Managing brand equity. New York: Free Press. Aaker, D. (1996). Building strong brands. New York: Free Press. Olenski, S. (2015). What Is Periscope And How Can You Use It For Business Video Streaming?. [Online] forbes.com. Available at: http://www.forbes.com/sites/steveolenski/2015/12/05/what-is-periscope-and-how-can-you-use-it-for-business-video-streaming/#16b4d19d71b8 [Accessed 9 Feb. 2016]. Bouchet, P., Hillairet, D. and Bodet, G. (2013). Sport Brands. New York: Routledge. Butterworth, M.L. (2014). Social media, sport, and democratic discourse: A rhetorical invitation. In: A.C. Billings and M. Hardin, ed., Routledge Handbook of Sport and New Media, 1st ed. New York: Routledge, pp.32-42. Gladden, J. (2014). Brand Equity: Management and Measurement in Sport. In: M. Pritchard and J. Stinson, ed., Leveraging brands in sport business, 1st ed. New York: Routledge, pp.3-20. Gladden, J., Milne, G. and Sutton, W. (1998). A Conceptual Framework for Assessing Brand Equity in Division I College Athletics. Journal of Sport Management, (12), pp.1-19. Goggin, G. (2013). Sport and the Rise of Mobile Media. In: B. Hutchins and D. Rowe, ed., Digital Media Sport: Technology, Power and Culture in the Network Society, 1st ed. New York: Routledge, pp.19-36. Goggin, G., Dwyer, T. and Martin, F. (2014). Moveable Media: Mobile Internet and New Policy Modes. In: M. Glowacki and L. Jackson, ed., Public Media Management Fit for the Twenty-First Century, 1st ed. New York: Routledge, pp.40-58. Kapferer, J. (1992). Strategic brand management: New approaches to creating and evaluating brand equity. New York: The Free Press. Keller, K. (1993). Conceptualizing, Measuring, and Managing Customer-Based Brand Equity. Journal of Marketing, 57(1), pp.1-22. Lithium.com, (2012). Consumers Expect More Engagement from Brands Through Social Media, Lithium Social Survey Finds [Press Release]. [online] Available at: http://www.lithium.com/news-events/press-releases/2012/consumers-expect-more-engagement-from-brands-through-social-media-lithium-social-survey-finds#ftn2 [Accessed 1 Feb. 2016]. McCarthy, J., Rowley J., Ashworth, C.J. and Pioch, E. (2014). Managing brand presence through social media: the case of UK football clubs. Internet Research, 24(2), pp.181-204. Newman, T., Peck, J., Harris, C. and Wilhide, B. (2013). 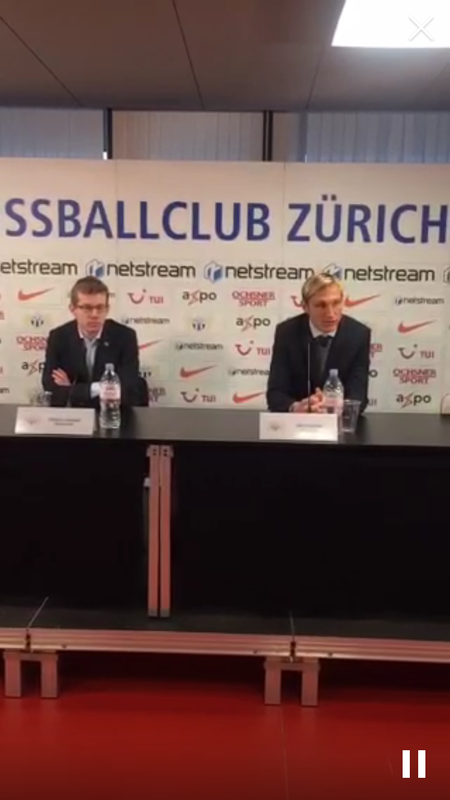 Social media in sport marketing. Scottsdale, Arizona: Holcomb Hathaway, Publishers. Nicholson, M. (2007). Sport and the media. Oxford: Elsevier. Pritchard, M. and Stinson, J. (2014). Leveraging brands in sport business. New York: Routledge. Rein, I., Kotler, P. and Shields, B. (2006). The elusive fan. New York: McGraw-Hill. Sahami Shiraz, A., Rohs, M., Schleicher, R., Kratz, S., Mueller, A. and Schmidt, A. (2011). Real-time nonverbal opinion sharing through mobile phones during sports events. In: Proceedings of CHI 2011, Vancouver, Canada, pp.307-310. Sbibarcelona.com, (2016). 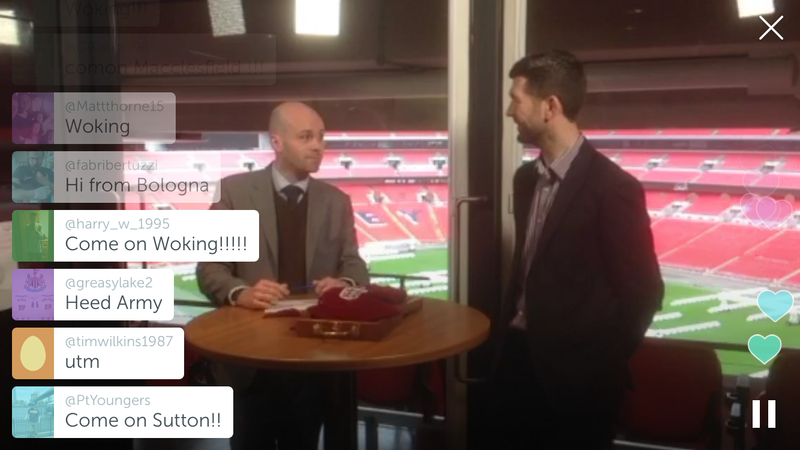 The Power of Periscope for Clubs and Sponsors. [online] Available at: http://sbibarcelona.com/the-power-of-periscope-for-clubs-and-sponsors/ [Accessed 4 Feb. 2016]. Solis, B. (2016). The Conversation Prism (Brian Solis + JESS3). [online] Conversationprism.com. Available at: http://conversationprism.com [Accessed 1 Feb. 2016]. Vaynerchuk, G. (2015). Jab, Jab, Jab, Right Hook: How to Tell Your Story in a Noisy, Social World. New York: HarperBusiness. to collect our sports materials. sport club . We are very happy and believe your website and product is really good.